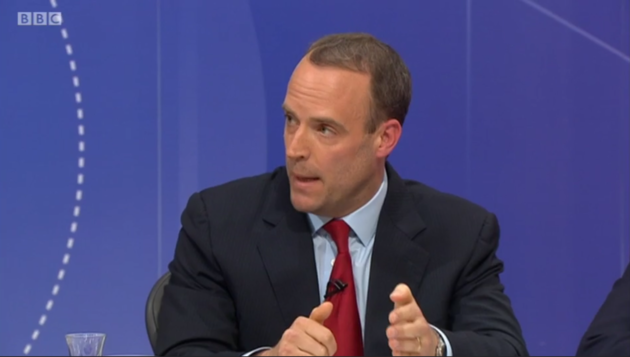 On last night’s BBC Question Time, Dominic Raab, Minister for Human Rights at the Ministry of Justice and noisy Vote Leave campaigner, mounted his high horse and trotted up to what has swiftly been informally assigned the next frontier in the Referendum fall-out war – “democratic legitimacy”. The remarkable direct democratic mandate is an intriguing, and it appears malleable, concept. For Mr Raab, along with almost every Conservative MP who supported leaving the EU, voted in favour of the Trade Union Bill (now the Trade Union Act 2016), seeking to impose minimum voting thresholds on Trade Unions balloting members over industrial action. The 2016 Act, in short, requires, in order for industrial action to be lawful, a 50% turnout of “those who were entitled to vote” (section 2 of the 2016 Act, amending section 226 of the Trade Union and Labour Relations (Consolidation) Act 1992), and, where those voting are “engaged in the provision of important public services”, an additional requirement applies, namely that “40% of those who were entitled to vote answer “yes”” (section 3(2) of the 2016 Act). To paraphrase, actions which have significant consequences for the general public, particularly where such actions carry a threat of enormous disruption to people’s everyday lives, should only be performed where a “clear, positive decision” is indicated by, not just a majority of those who turn out to vote, but a significant proportion (40%) of all of those entitled to vote. Whether this is a good argument does not matter for these purposes. What matters is that the Parliamentary Conservative Party – including Boris Johnson, Iain Duncan Smith, Chris Grayling, Michael Gove, Priti Patel and John Whittingdale – thought that it was. So good that they voted for it. So important to them was the principle that important decisions affecting the public at large should attract the support of 40% of the registered electorate, they attended the House of Commons on behalf of their constituents to cast their “aye” and ensure that the Bill became law. So what of the vote to leave the EU? The most important decision our country will ever make, in the unchallenged words of the (now outgoing) Prime Minister. Well, 51.9% of a 72% turnout equals 37.4% of the registered electorate voting to take the country out of the European Union. The “most remarkable democratic mandate” in Dominic Raab’s lifetime is one which would not be sufficient, under his own law, for train drivers to withdraw their labour for an afternoon. When I tweeted this yesterday, a number of Leave supporters were irritated by what they perceived as speculative ifs-and-buts by a bitter Remainer. The Trade Union Act doesn’t apply to referendums, they quite correctly said. There’s no threshold required for a General Election; we don’t seek to re-run GEs until there is a special majority (or even a simple majority) of voters in favour of one governing party, was another common refrain. But the latter argument is to misunderstand the distinction between a referendum and an election. A referendum – much like a strike ballot – is a binary choice between the status quo and change. Between the relative certainty of remaining as we are, and the unknown consequences of all walking out. And the point I am making, academic as it may be, is not that we should definitely have a second referendum. Nor that we retrospectively impose a voting threshold. But simply that those who are leading us into this brave new world, reneging on a new preposterous election vow as regularly as Corbyn loses a fresh shadow minister, are not merely charlatans for the new clothes they’ve peddled to our plebeian emperors, but unspeakable hypocrites of the highest order when they doll up their victory as a remarkable democratic mandate, secretly knowing that, under their own terms of engagement as publicly committed to statute, they ought honestly to be proclaiming this as a victory for the status quo. This entry was posted in Bad Law, Lawsplaining, Politics and tagged EU, Hypocrisy, Law, Politics. Bookmark the permalink. ← What would happen to Brock Turner in an English criminal court?